EDITOR’S NOTE: This article entitled, ‘Top 10 Lacrosse Legends — Men Who Played’ was originally published on August 5, 2011 at 5:44 p.m. 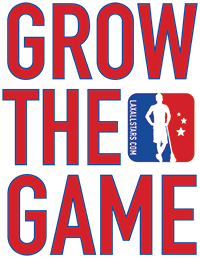 It has been updated to provide the most value to the lacrosse community. Top 10 Lacrosse Legends time! I’ve been involved with the sport of lacrosse, at some level, for over 20 years straight. And in my time, I’ve heard a TON of stories having to do with lax. Some of them are most likely 99 percent true, while others are probably pure fabrications. My interest here isn’t necessarily in the truth, but in the “legend” of these players. And as we know, legends are usually much more than the truth. And COMPLETELY relative. A legend to me may not be a legend to you. But I think most people can come up with a list of 10 amazing players who they have heard stories about, or seen play in person. Some lists will only feature recent players, while others will be stacked with names like Turnbull, Lewis, and Brown. There is no perfect list, but there are a lot of right answers. Top 10 Lacrosse Legends – Player Edition! Jason Coffman played at Salisbury University (back then it was Salisbury State). He was a four-time first-team All American, and his legend status notoriety comes from scoring a preposterous number of points in college, and doing so without being the biggest or fastest player. Coffman was little, strong as an ox, and had GREAT hands. He made everyone around him better and could finish inside as well as anyone. 451 points in college says this guy is a legend. Doing it at Salisbury doesn’t hurt either! Coming off of 249 goals and 202 assists is even better! That’s balance! Thorpe is regarded as pretty much the best American athlete of all time. His ability to play a multitude of sports, and excel at them all, is still unparalleled. Jim Brown, Deion Sanders, Bo Jackson… they’ve got nothing on this guy. So OK, he only played lax in high school, but that alone gets him on my legend list! He played a lot of sports, and lax was one of them. Because of his sporting stature overall, he makes my list. I’m only imagining what he did on the lacrosse field. But it’s impressive nonetheless. See? Legend is all in our minds, but to be fair, there is not another athlete on this list that gets in on reputation alone. Everyone knows about John Grant, Jr these days, and they have for years. His stick skills are the best in the world, he epitomizes one-handed box lacrosse effectiveness. But, he learned it all from his dad. At least that’s what I’ve heard, and it only adds to the legend of SENIOR! A legendary lacrosse-playing man passing his skill on to his son is legendary in all the right ways… awesome. And John Grant, Sr. did such a good job that John Grant, Jr. would probably show up on most people’s lists. So, John, Sr. makes mine. He’s a legend in Canada, and deservedly so. With the exponential increase in Canadians in the NCAA, Senior’s importance to the game will only INCREASE. Legend. It’s tough to put Paul at No. 7. It really is. But honestly, in my mind, he gets overshadowed by Gary. Probably not fair at all, but again, legend status is all about perception. For me, Paul is less of a legend through story. It’s more personal, yet limited than that. Like I’ve said before, I got to cover Paul Gait once at Placid. It was… a learning experience for me. His ability to dictate play, see things 3-4 steps before they happened and simply dominate with one hand was magical to behold. I had to remind myself to cover him and not watch him more than once. His exploits at ‘Cuse, in the MLL, for Team Canada AND in box lacrosse are all impressive. His willingness to play second fiddle to Gary at times is almost more impressive, and it shows he wanted to win, above all else. Marks of a legend! The man simply changed the way defense was played in the sport of lacrosse. I’ve heard offensive players were terrified to run against him, and entire clears were designed to keep the ball away from Petro. He could run with anyone on the field and had a mean streak a mile wide. He was FEARED and respected, and played like a caged animal. He was precise and punishing, and made defense a lot more glamorous. The days of playing physical body only were departing… and Petro was ushering in a new era. It was the time of the takeaway defenseman. Changing the game is legendary. I have to be honest… I miss watching Mikey Powell play lax. At least he still writes some awesome stuff! He was so diverse in his skill set, so athletic and extremely selfless. He took big hits, drew a ton of attention and either smoked his man or found an open teammate. I saw him make looping feeds from 30 yards away to a cutting middie well before the play had developed. But the passes always found their mark. A friend of mine played at ‘Cuse with him for a year and said MP won EVERY running test/conditioning drill they ever did. And he did so easily. MP did a front flip in a game ONLY for the ‘Cuse fans. He was a showman, a winner, came from a legendary lax family, and at his height, he gave it all up to pursue a music career. And people STILL talk about him as the lax messiah. Legend. The only reason Mikey Powell isn’t my No. 1 player of ALL TIME is that he didn’t play as much out of college as some other guys, didn’t play box lacrosse and has less international experience than some of the guys below. Also, some of the guys below are much older, and my list trends toward older players. I’m old, deal with it. I would also feel remiss if I didn’t mention Casey and Ryan Powell here. How did I not rank either of them? Honestly I’m not sure… but I can say that about 10 guys at least, and yes, I feel guilty about it. For me, MP was the best one of the bunch though. Maybe you feel differently. That’s fair. Sure, Oren was, and is, a legendary lacrosse goalie. Even in his late 80s he would probably be better than most in between the pipes. He was an All-American at Cuse, played for an undefeated team his graduating year, and played a lot of club ball afterwards. But to me, what makes him a legend is his refusal to give up on the style of lacrosse with which he was raised. Lyons tended goal in the typical box style, even when he was playing field. He loved to save the ball high with his elbows, shoulders, chest, and even his head. He still jumped in net at well over 70 years old, and anyone who will do that gets my undying respect. He has even played games on Onondaga Nation in recent years, where the “old” men play the “young” men with wooden sticks and no pads. Lyons is a faithkeeper for the Iroquois, has given more back to the game than most, pushes for Native rights and recognition and should be on everyone’s legend list. Jim Brown is super famous for his glory on the football field, along with all of the amazing charitable work he has done. And his acting. That was pretty good, too! He is a man that believes in helping his community and all of that makes him a legend in general. But he also loved lacrosse. I’ve heard that he said, “If pro lacrosse had been an option, I would have chosen that over football”. The Great Jim Brown would have played lax. For some reason that makes me feel good. But, I’ve also heard he just clamped the stick to his chest and was a better athlete than everyone else. And then you see clips of him playing, you’re impressed and you learn that last part of the legend isn’t really that true. But it only makes him bigger in my mind, and an even better player. Here’s something kind of amazing… the underhand submarine shot wasn’t huge in the college game when Brown was playing. But, he employed it, would skip the ball off the turf at 90 MPH and would score a number of goals that way. He also traveled to Onondaga and played box lacrosse. Jim Brown was and is truly a man ahead of his time. Gary obviously had to be on the list. The Air Gait is still the most memorable lacrosse moment in recent history. Gait played FOREVER, for every sort of team under the Sun. He won EVERYWHERE. Now he coaches women’s lacrosse, where he also wins. He was the face of the sport for what seemed like eternity, and no one wanted to change that. He is friendly, signed autographs and just wowed people every single time he went on the field. As he aged, he got “bigger” but was no less effective. In fact, he might have even improved quite a bit! Gait could still go out and play in the MLL RIGHT NOW if he wanted to. He’s just that good. The stories are numerous, the name recognition undeniable. His status as a legend is set in stone. So how is he No. 2 on my list? Yup. My No.1 legend is a bit different than most people’s. Jimmy was a three-time All-American at Navy. The only reason he wasn’t a four-time All-American is because freshman couldn’t play varsity lax back then. He was dominant. And to those that know the history of the game, he is well qualified to be No. 1. But he is also the No. 1 LEGEND to me for a different reason. Lewis is credited by many as one of the guys who made smaller, box style heads more popular in the US college game. Along with is brother, John (my high school coach, RIP), he would go to the stick manufacturer’s warehouse and pick out the most well-balanced, and just as importantly, SMALLEST, sticks he could find. They would spend HOURS going through sticks, finding the right ones. Why? Because Jimmy and John recognized the importance of a good stick, a good pocket, and how it related to playing with skill. And this changed things. People saw Jimmy’s success, and they wanted to mimic it. They too wanted smaller lacrosse sticks that were more maneuverable in traffic and lighter. They too wanted to play like Lewis, and so the game changed in a MAJOR WAY because of a single man. The Edge was introduced to us, the consumers. In Jimmy’s case, the manufacturers were introduced to the idea, but by a player. He took the sticks people didn’t want to use for field and made them normal. I only met Jimmy Lewis once or twice. I never asked him if this story was totally true, but like everything I mentioned above, I choose to believe that it is, because these are my heroes. On top of that, Lewis was a Top Gun pilot after leaving the US Naval Academy, AND while at Navy, he scored the ONLY goal in Navy’s ONLY national championship… in MEN’S SOCCER. So he was a three-time All-American lacrosse player, national championship winning striker on the soccer team, a Top Gun pilot, AND he changed the game of lacrosse forever. That’s why he’s my No. 1! Ryan Boyle – Love how he played, very cerebral. He is the epitome of a modern-day, team lacrosse player, and made a strong transition to box with little to no experience. He knows and sees the game inside and out like few others. Brian Dougherty – Best goalie I’ve ever seen play in person. Total winner, total talker, legendary player and character. Brodie Merrill – Probably my #11. Seriously, this guy is a monster with a d-pole, or as a box defender, transition, offensive player. I love a guy that can do it all, both indoors and out. Plus, he is an excellent coach. Lyle Thompson – I know, perhaps a bit premature. But see above. He too can do it all. And his long hair and Native American roots give him a platform to perform some amazing feats of inspiration for his people. Plus he comes from a total lacrosse family. If he wins a World Box or Field Championship with the Iroquois he will be a legend instantly. Think about that. Kyle Harrison – Another one of those guys that can do it all. He’s a great athlete, can face off well, shoots and passes and makes teammates better. He’s all over the world growing the game and doing his thing. And it’s all with a smile on his face. I’ve met Kyle, seen him in action and know he’s the real deal. Definitely on the top 20 list! Casey and Ryan Powell – Sometimes I call Casey the GOAT. His brother, Ryan, was no slouch either. How did they not make my top-10 list? That is a fantastic question… I might need to revamp the whole thing. Del Dressel – Four-time first teamer not on the list? Crazy, I know. But that’s just how tough this is! Is Hopkins-legend Dressel on your list? That would be fair! So who did I miss? Ok, let me have it.